Phnom Penh, Cambodia, April 12, 2015 – Some of the world’s most endangered species will be driven closer to extinction if a new border crossing with Vietnam and associated road are built through Cambodia’s pristine Mondulkiri Protected Forest– one of the most biologically diverse areas in Southeast Asia. On Endangered Species Day May 15th, WWF is counting down 10 of Mondulkiri Protected Forest’s most endangered species while calling for the border crossing to be cancelled to protect them. 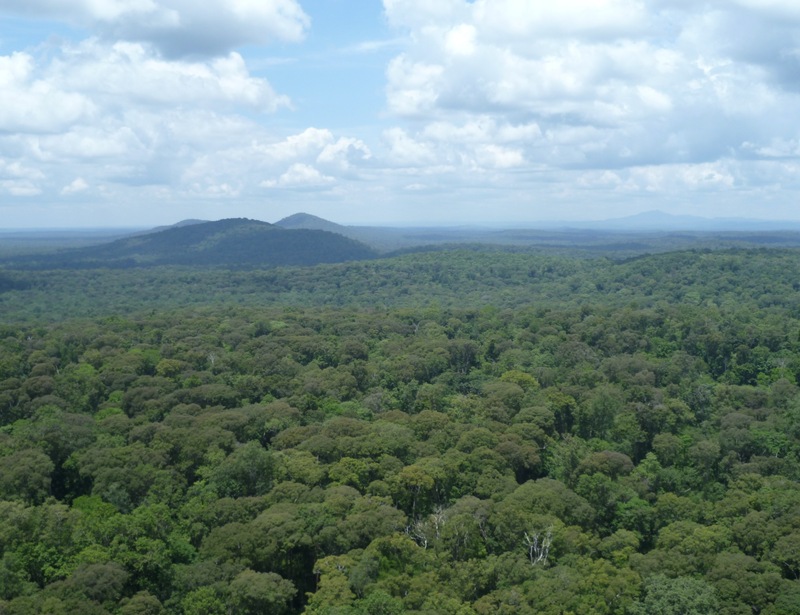 A staggering 23 species of mammal, bird, reptile and tree are listed as Endangered or Critically Endangered in the 4,300 square kilometre Mondulkiri Protected Forest. Many of these species have declined to extinction elsewhere in their ranges across Southeast Asia as a result of habitat loss and targeted hunting for illegal wildlife products. The new border crossing and road will seriously fragment their habitat while providing little economic benefit. One of the most endangered species in the Eastern Plains landscape is banteng. A species of wild cattle which was formally widespread from India to Indonesia, banteng has declined by more than 80% in the past 50 years and is now restricted to small populations in Cambodia, Java and Borneo. More than 5,000 banteng are estimated to live here, meaning this landscape is critical to their survival. Giant Ibis: Ranked by the Zoological Society of London as the most evolutionary distinct threatened bird species and Cambodia’s national bird, with less than 500 remaining. Critically endangered due to loss of wetlands and deforestation. Siamese crocodile: The “friendly crocodile” due to no recorded instances of it attacking people. Critically endangered due to hunting for its skin. Slender-billed vulture: Asia’s rarest vulture. Critically endangered due to ingestion of a commonly used veterinary drug given to cattle. 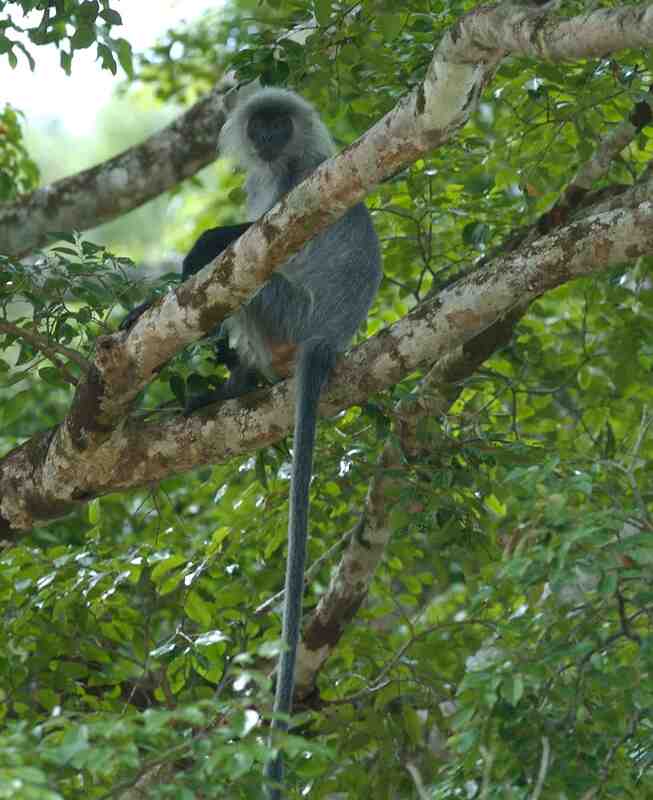 Silvered langur: Endemic to the region, they eat poisonous fruit that makes their flesh toxic. Endangered due to logging, hunting the pet trade. Masked finfoot: Elusive waterbird that is rarely seen and poorly understood. Endangered due to habitat loss and human disturbance. Tiger: With no breeding populations in Cambodia, WWF is supporting the Cambodian Government’s efforts to re-introduce tigers into Mondulkiri Protected Forest: Endangered due to habitat loss, poaching and loss of prey base. WWF will be using Twitter and Facebook around Endangered Species Day to count down 10 of Mondulkiri Protected Forest’s endangered species and build public support for protecting the animals and their habitat. 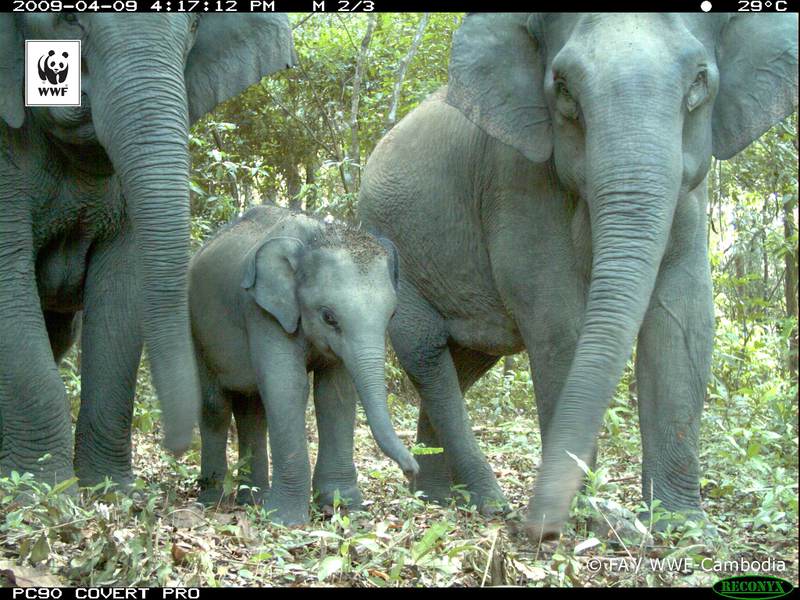 Camera trap photo of Asian elephants in Mondulkiri Protected Forest. 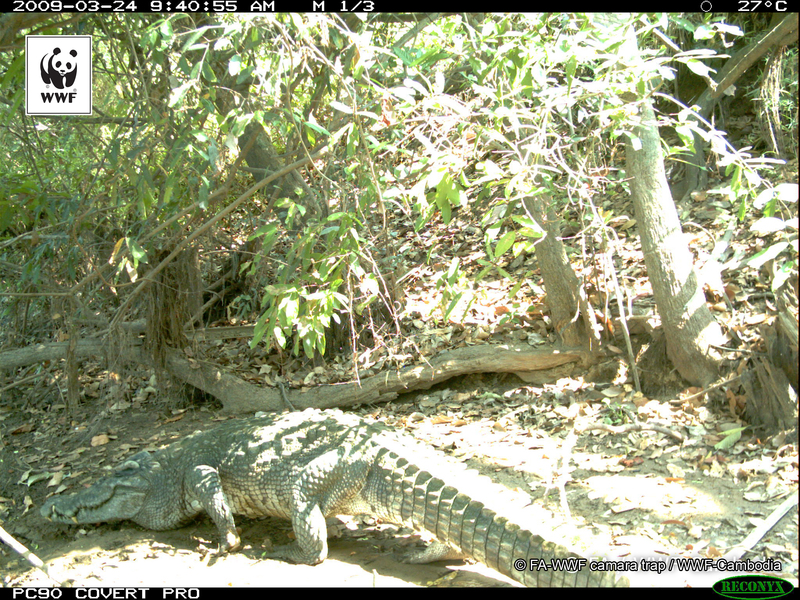 Siamese crocodile, captured by WWF-Cambodia camera trap. 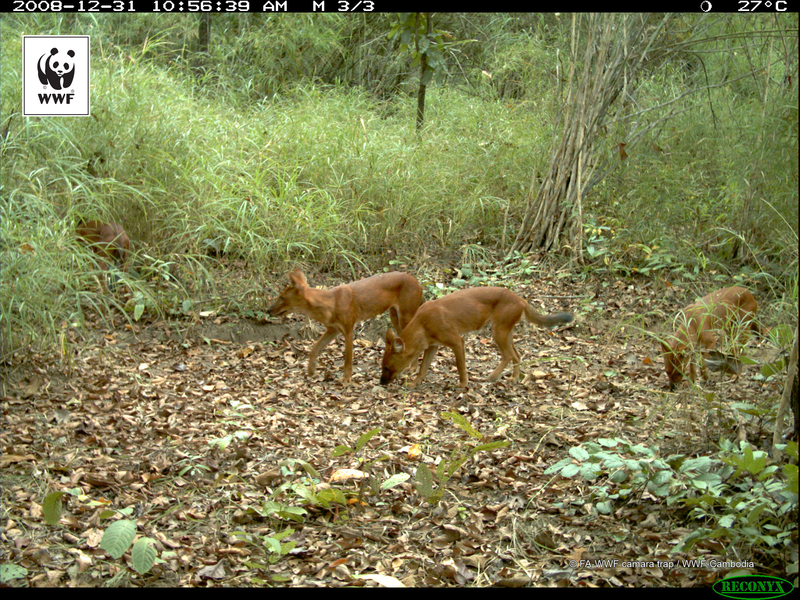 Dhole, captured by WWF-Cambodia camera traps in Mondulkiri. 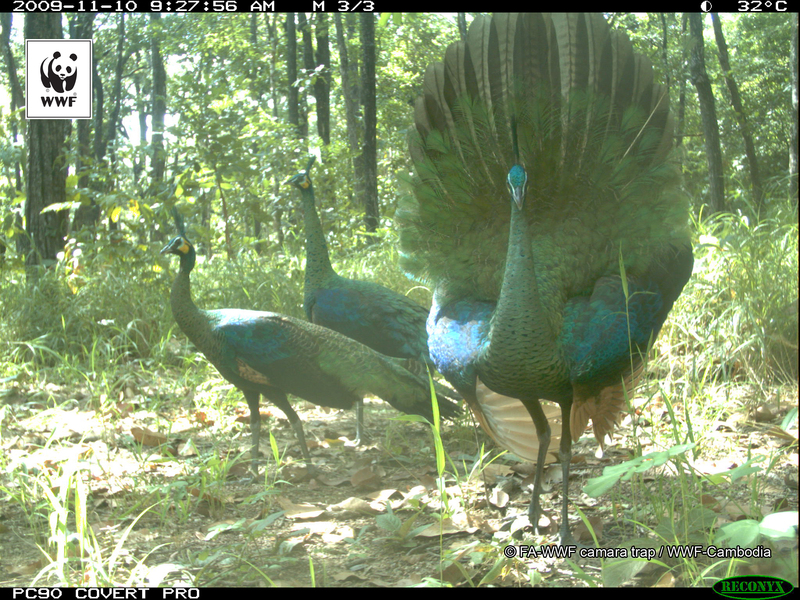 Green Peafowl captured by WWF-Cambodia camera traps in Mondulkiri. 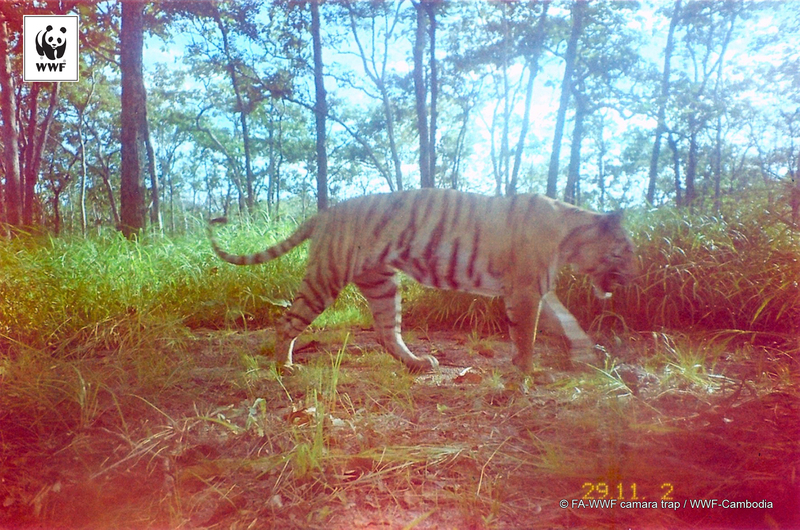 Tiger captured by WWF-Cambodia camera trap in 2005 in Mondulkiri Protected Forest.